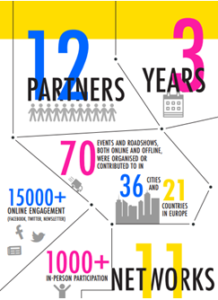 The Social Innovation Community (SIC) was a project to connect social innovators across Europe. 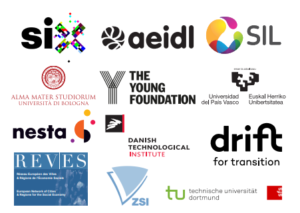 After three years of research, experimentation, learning, policy and connecting networks across Europe, the Social Innovation Community (SIC) project comes to an end. Therefore, the Social Innovation Community (SIC) presents the “Yearbook” written by the SIC project consortium. This Yearbook highlights those actions performed in the framework of the Social Innovation Community project. Although the project officially ended in January 2019, the social innovation community in Europe is still thriving, and many of the activities that were created under the SIC brand still continue today. In this Yearbook, you will find ways to continue to work with the SIC consortium partners, to continue to nurture and grow social innovation in Europe.